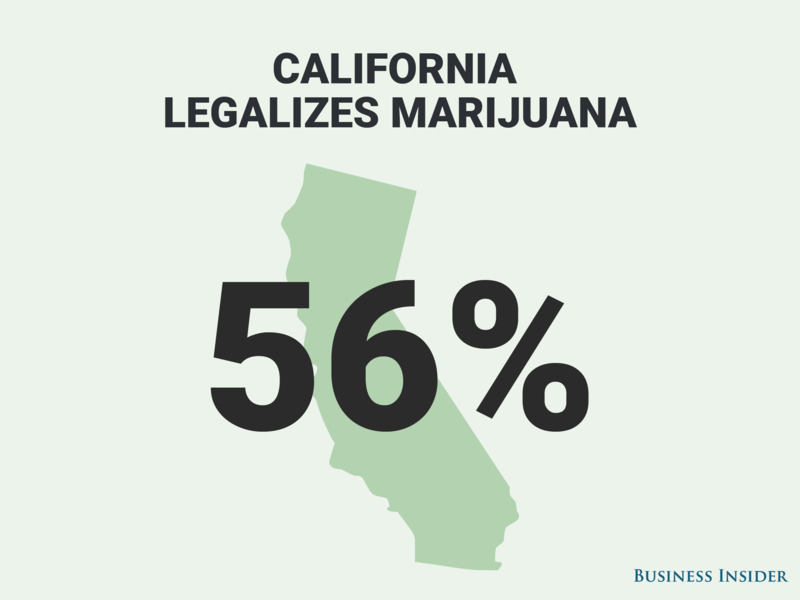 Most significantly, California voted overwhelmingly in favor of legislation making marijuana legal ("Proposition 65") — thus making the entire West Coast a legal enclave for recreational cannabis. 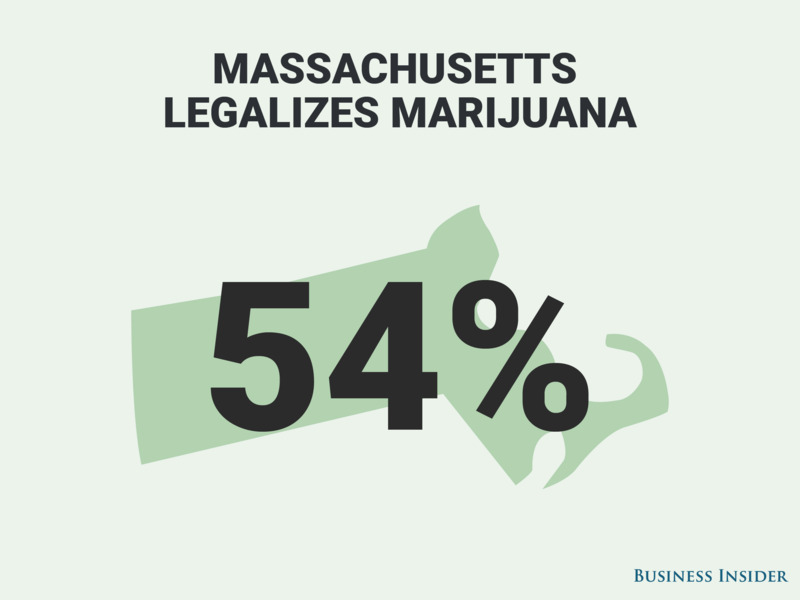 In Massachusetts on November 8, voters chose yes on Question 4 — a bill to legalize the recreational use, possession, cultivation, and sale of marijuana. The bill calls for regulation along the lines of alcohol. Result: A majority of voters supported the measure — 54% yes to 46% no — according to Ballotpedia. The bill ("Question 4") fully legalizes recreational marijuana starting on December 15, 2016. 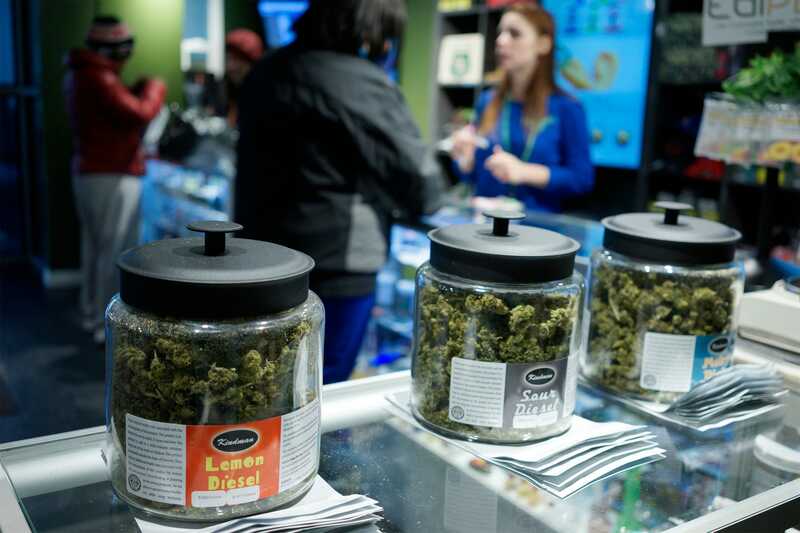 In California on November 8, voters chose yes on Proposition 64 — a bill to legalize the recreational use, possession, cultivation, and sale of marijuana. Legalization is limited to people over the age of 21. California legalizes weed and votes against Trump... and the rest of America says we're assholes???? 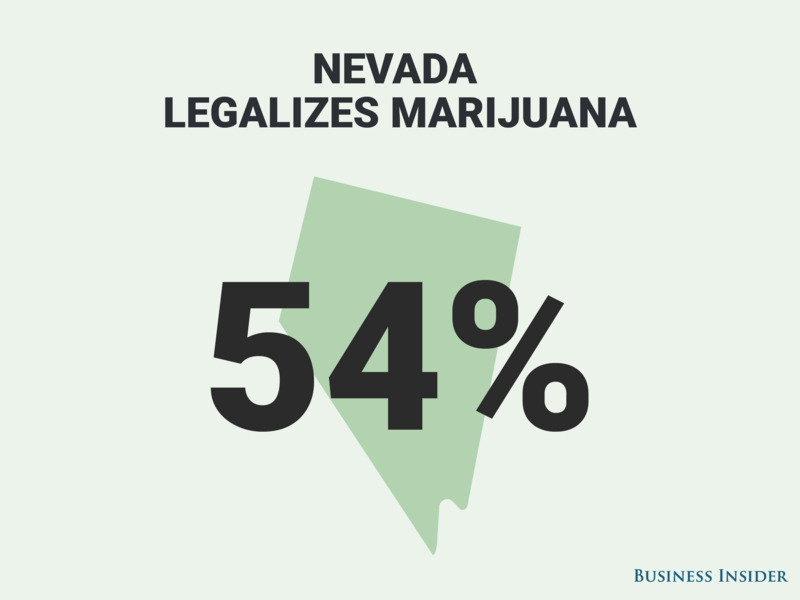 In Nevada on November 8, voters chose yes on Question 2 — a bill to legalize the recreational use, possession, cultivation, and sale of marijuana. Legalization is limited to people over 21. In Maine on November 8, voters chose yes or no on Question 1 — a bill to legalize the recreational use, possession, cultivation, and sale of marijuana to adults over 21. 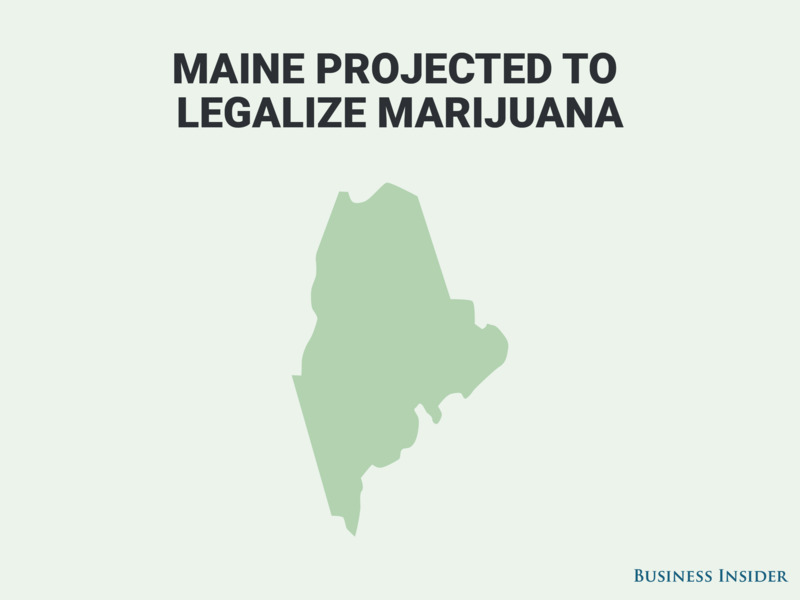 Maine already allows for medicinal marijuana use. Results: As of 8:30 a.m. on November 9, Maine's marijuana legalization effort is still up in the air. Yes is currently beating out no, but just barely — the New York Times is reporting a paper-thin divide between the for and against votes, at just a few thousand votes putting yes in the lead.